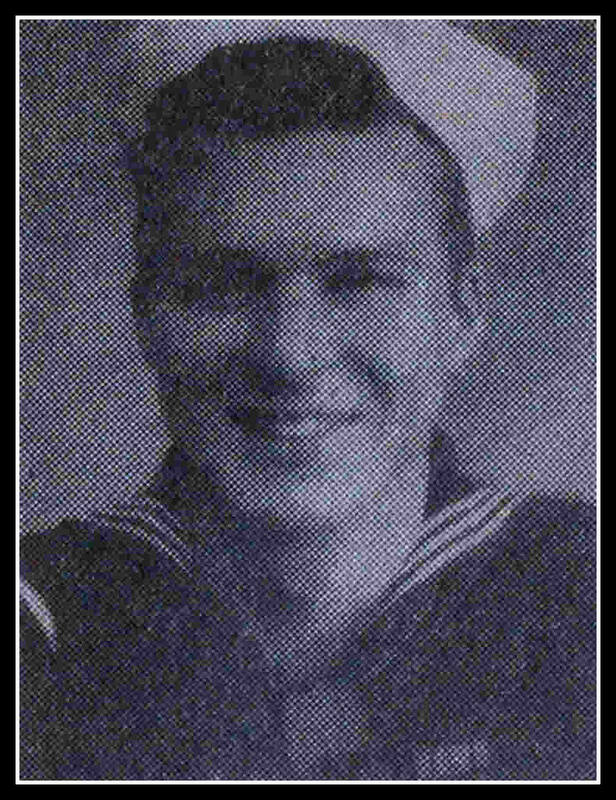 (Oct. 14/Nov.18, 1943) -- Seaman 2/c Thomas A. Peacock, 20, was killed in action and buried at sea in the area of Malta, in the invasion of Sicily on Sept. 11. Peacock was believed to be aboard the USS Savannah in the Mediterranean when it was attacked by Nazi dive bombers. A small memorial ceremony was held on Armistice Day (November 1943) in the Soho section of Belleville incorporating the Town's Honor Roll. Peacock is believed to be buried at sea off the island of Malta. He is listed among the Missing in Action or Buried at Sea Tablets of the Missing at Sicily-Rome American Cemetery at Nettuno, Italy. His letters home do not reveal much. He left for North Africa in April. Another letter said he's part of the invasion of Sicily. Seaman Peacock received a service bar for action in the South Pacific last winter. The young Peacock, the son of Mr. & Mrs. William E. Peacock of Harrison Street, left Belleville High School in his junior year to enlist in the Navy in October 1942. He trained at Newport, R.I. His service number is 02251767.